School's out for summer! Pool time and beach days are here. We want you feeling your strong, confident, and lean while sporting your beach gear. Here are some simple steps to get you there! In order to get strong lean abs, you have to workout your entire body not just your stomach! Choose workouts that include big muscle groups and incorporate core strength. This will fire all those muscles up and get them working together. The harder you work, the more muscle groups you include, the more calories you burn after your workout. Exactly what we want...the burn after the workout! Go to the Cannon Fitness Facebook Page to find some great total body workouts. When heading out to the pool, beach, or any event in which you want to feel your best, try to avoid these foods that can lead to bloat and discomfort. This is always a recommendation, but especially important when you what to feel your best. Filling up on a high protein meal will keep you satisfied longer, muscles fueled, and keep you from snacking on empty calories for the rest of the day! 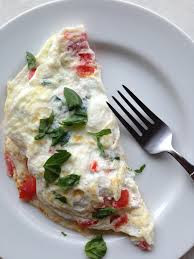 My favorite go to high protein breakfast is an egg white omelette filled with veggies or 1-2 eggs, broccoli, and 1 slice of turkey. 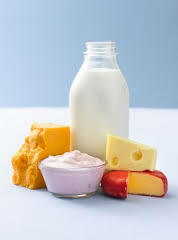 Prior to putting on your bathing suit, use these foods up to 5 days before to help you de-bloat and flatten your tummy. -Quinoa is a good source of potassium which helps prevent bloat and water retention. -Papaya: contains powerful digestive enzymes to help break down foods quickly! Follow along with Katey our Cannon Core Trainer and complete 3 sets of 15 reps 2x a day! Toning those core muscles will definitely make you feel good all summer long! Perfect for toning your sides and obliques. Place one foot forward and the other laterally. Hips must stay pointing in the direction of your forward foot. Hinge over, use your abdominal muscles to pull you up and extend overhead. Tone those upper abs with this isometric v-hold and leg drag. Make sure your lower back is firmly planted against the ground and stays there through the entire exercise. The lower your leg the more difficult this exercise. A total core burner! Sit in a v-sit position with shoulders down, chest up, and belly button pulled toward your spin. Circle arms up and extend legs out. The further out you extend the more difficult the exercise. Try to stay nice and tall throughout the entire exercise. If you need to modify this exercise you can place your heels on the ground until you can hold the full v-sit.